They’re both blue, made of fuzzy foam, and have the job of boosting school spirit. But which Chippewa Valley university mascot would win in a fight? NAME: Blu (although known in a prior incarnation as “Chip E. Wa”). PHYSICAL DESCRIPTION: Wingless blue and gold man-bird. REMINDS US OF: One-quarter pre-Columbian bird god, three-quarters Muppet. ORIGIN STORY: Discovered roosting in Council Oak when university was founded. OFFICIAL STATUS: Student body mascot managed by the UWEC Student Senate. The university itself has no official mascot, just a disembodied nickname, the Blugolds. MOST IMPRESSIVE FEAT: His (or her?) mere existence. 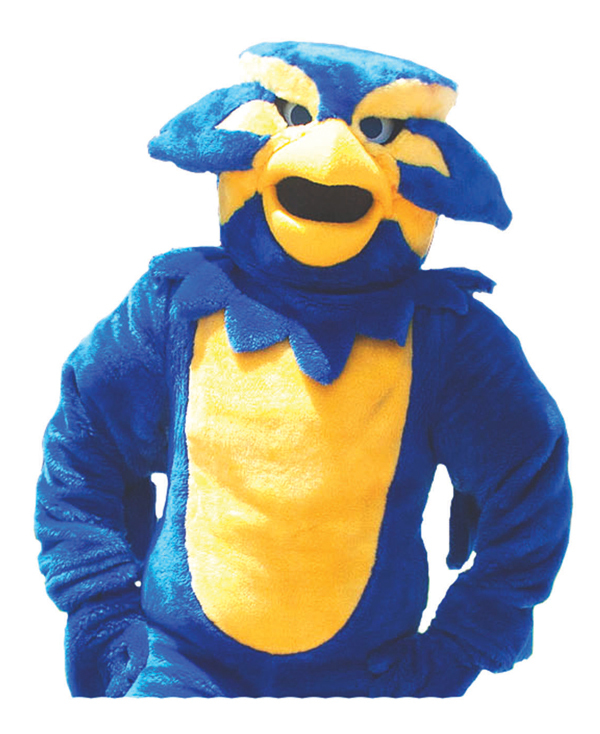 UWEC has a long and convoluted history of not having a mascot. PROS: Swift, birdlike movements; opposable thumbs. CONS: Foam beak largely useless for combat or consuming birdseed. QUOTE: “There’s some controversy with alumni that want to keep (the mascot) the Blugold spirit, but I think in today’s day and age it is important to be able to point to something and say, ‘That’s what I am,’ ” Erica Rasmussen, Student Senate Public Relations Commission (The Spectator, Nov. 6, 2013). PHYSICAL DESCRIPTION: Broad-grinned blue demon with sweatpants. REMINDS US OF: Crownless version of old Burger King mascot, but less creepy. ORIGIN STORY: Arose from the blue flames of a welding torch in a manufacturing tech class. OFFICIAL STATUS: The real deal. 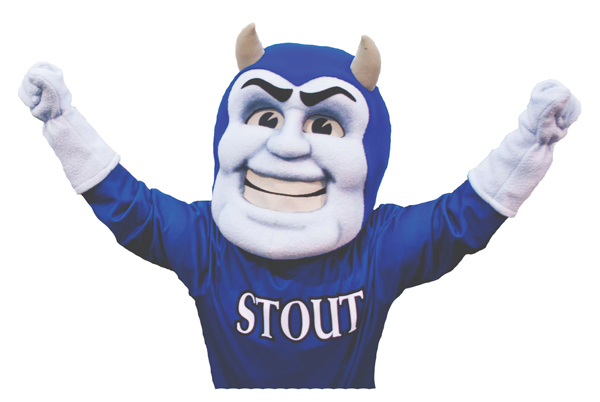 UW-Stout’s teams have long had the “Blue Devil” nickname, but the first official mascot was created just a few years ago. PROS: Rumored satanic powers; blindingly white teeth distract opponents. CONS: Freakishly oversized head causes neck pain. QUOTE: “Blaze is appropriate. We want our Blue Devil athletic teams to be hot in their sports, so Blaze will fit right in,” then-Chancellor Charles Sorensen, when Blaze’s name was officially revealed (athletics.uwstout.edu, Feb. 13, 2012).